Lee Gerdes was moved to write Limitless You because he believes that people will be more compassionate and loving with one another when they understand that our brain drives our behavior. Biofeedback Applications in Performance Enhancement. Biofeedback (BFB) typifies one of the most important perspective methods of training athletes for better self-control and relaxation. 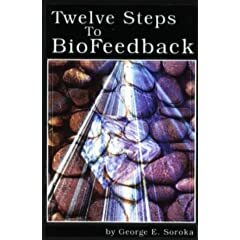 12 Steps to Biofeedback is a minibook to help a person with easy steps to stay calm during the day, at work or while traveling. How Neurotherapy Effectively Treats Depression, ADHD, Autism, and More. This book provides a thorough, definitive, and highly readable presentation of this remarkable health care alternative that offers millions of individuals a chance for healing. Harnessing the Power of Attention to Heal Mind and Body. 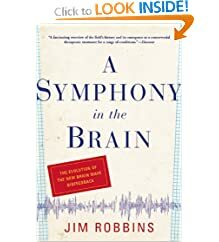 In this breakthrough health book, Dr. Les Fehmi teams up with Jim Robbins to present a disarmingly simple idea: the way we pay attention in daily life plays a critical role in our health and well-being. Raise your awareness and conscious control of your unconscious physiological activities- Learn how to achieve important personal goals!